Giorgio Vasari, painter, architect and writer, famous for writing The Lives’ Most Excellent Painters, Sculptors and Architects and scoring the Uffizi Gallery in Florence, was born in Arezzo in 1511. He purchased this building to make it his home around 1540. the illustrious artist from Arezzo personally took care of the accommodation, the furniture and the decoration of the walls. The building is now home to the museum of Casa Giorgio Vasari and the attached archive, which houses, among other things, autograph letters by Michelangelo, Pius V and Cosimo I de Medici. 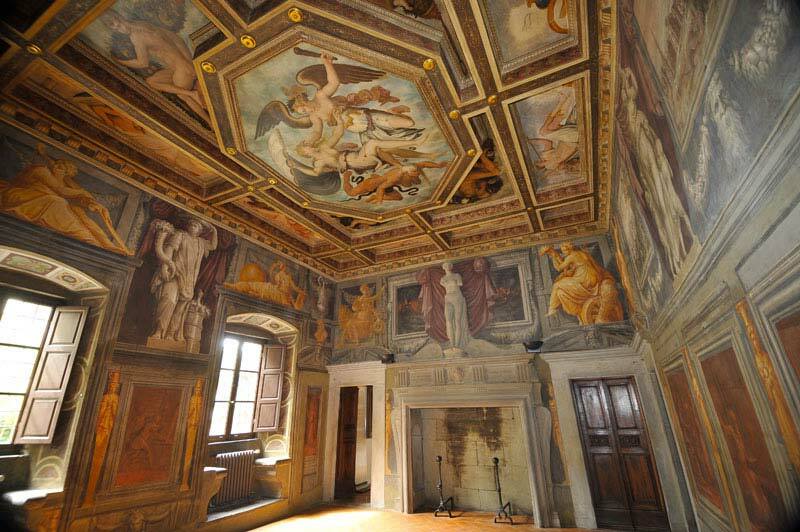 A splendid example of perfectly preserved Renaissance house, now houses over the wall paintings and some works of Vasari, many paintings by contemporary artists, as well as some works that are part of the private collection of the artist.